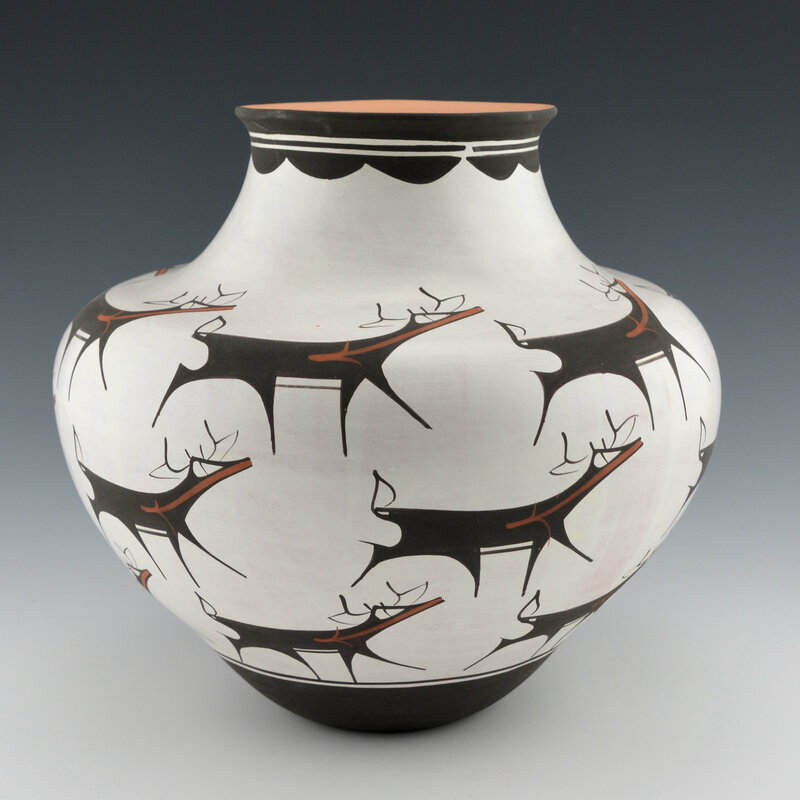 This is a classic water jar by Anderson Peynetsa. The jar is a beautiful shape with a high, round shoulder and a slight indention before the neck and a slightly turned out rim. 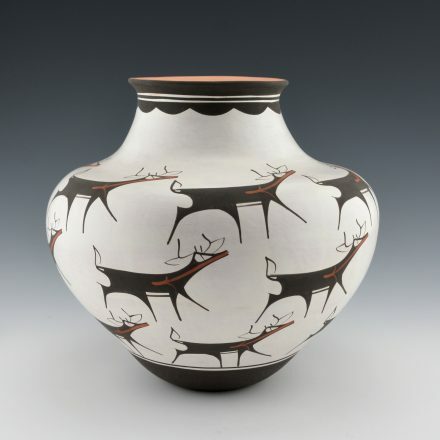 The body of the jar is painted with three rows of heartline deer. Altogether there are 18 of them on this jar! 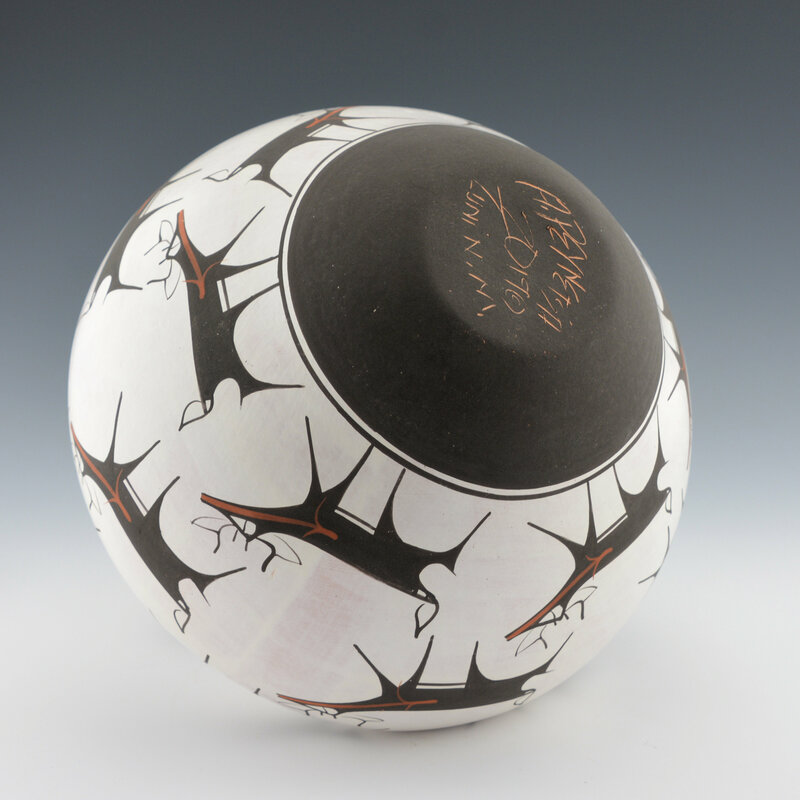 Each deer is very tightly painted and they are stylized with thin legs. There is a cloud pattern around the neck of the jar. The additional design adds to the dynamic appearance of this jar. The heartline deer is a classic image in Zuni pottery, with the heart representing the strength and spirit of the animal. Anderson has signed the bowl on the bottom.